For example, you may want to apply format-preserving encryption to all the columns in a database with a social security number (which may be a key). 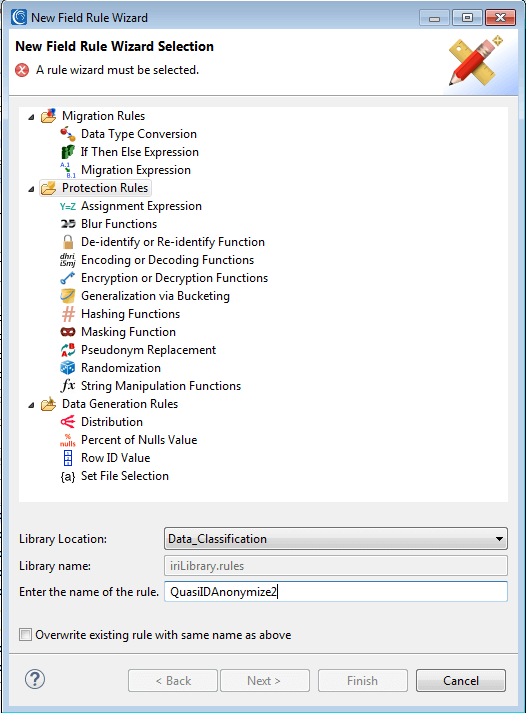 If those column names can be pattern-matched by an expression, the defined rule will apply. 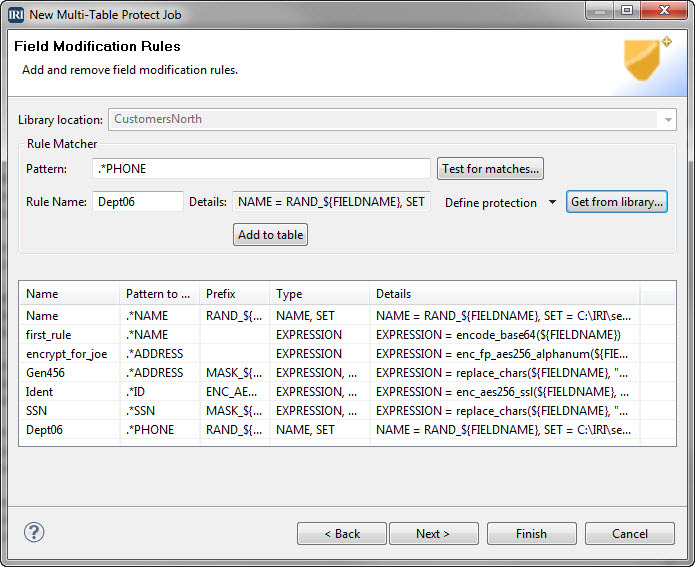 See this how-to blog article for automating this process for several linked tables at once using the FieldShield New Multi-Table Protect Job wizard in IRI Workbench. These rules can also be established on a more global basis and applied automatically as part of a broader, integrated data classification and protection function application process. 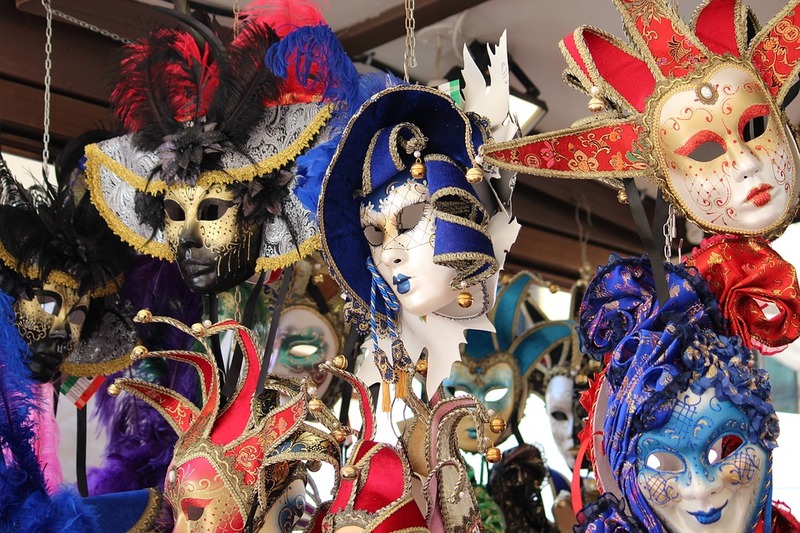 Article: Which Data Masking Function Should I Use? * Cross-table rule application not only avoids the need to specify protections repeatedly, it also preserves referential integrity. The same values are protected (usually encrypted) with the same function. Therefore, the ciphertext results of matching plaintext values will also match, and thus behave (i.e., join and query) in the same way (e.g., after encryption) they did before masking.